So Mark Zuckerberg is even more of a squillionaire than he was last week. He is younger than me, and I’m not going to lie, makes me feel incredibly un-accomplished. I’ve come to the conclusion that there really is nothing entirely original left. We have been born into a generation whereby everything has already been thought of. Who knows, if I’d popped out in 1900’s, I might have beaten Albert to the theory of relativity. Gravity – to be honest, it took a while for anyone to come up with that. I’m sure stuff had hit people on the head for centuries before old Isaac came up with that one. But, still, he got in there first and good on him. There’s almost no room for originality nowadays. Even if there was something left to be discovered or invented, social networks make all decisions for you. What to wear, what to do, where to go, what to ‘like’. I admit to falling victim to this. I’ve become my very own Facebook Hitler. For me status updates should be informative, funny or showing off. Updates that continually fail to fall into one of these categories on a regular basis (duration of tolerance entirely dependant on a number of factors: 1. How much I actually like them 2. How irritating the updates are 3. If said updates are not only boring, telling me nothing but somehow make me feel like a failure e.g. ‘an over-achiever’) then they face the online equivalent to Auschwitz. I’m creating my own ‘perfect race’ where I have full control over the updates I receive and what I personally want to share. I am the leader of my own timeline and what I put on it. My whole life from birth to today is on there. But do I have an album named ‘12-15, the awkward years’? No. Jo has just ‘checked in’ at the Orthodontist. Clearly not. I carefully select what I’m prepared to share and brutally delete, untag and ‘unsubscribe’ to anything that doesn’t fit. 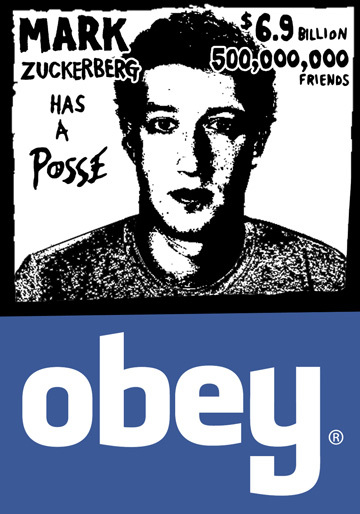 Zuckerberg deserves to be a millionaire. He’s made an online dictator of all of us. Although the following came up on my news feed the other day. I very nearly deleted my account.